The 5/10/15kW AMMPS generator has limited power distribution options, which also limits the ability of the generator to operate efficiently at its rated power output. The PRO-Verter is an extension of the AMMPS that provides power management, power distribution, and remote control of the generator. These extended capabilities allow integration of the generator into a high-efficiency hybrid power system. Installation of the Remote-start Enabling Kit (RsEK) and Remote Monitoring Kit (RMK) establishes a cooperative link between the AMMPS and a PRO-Verter. 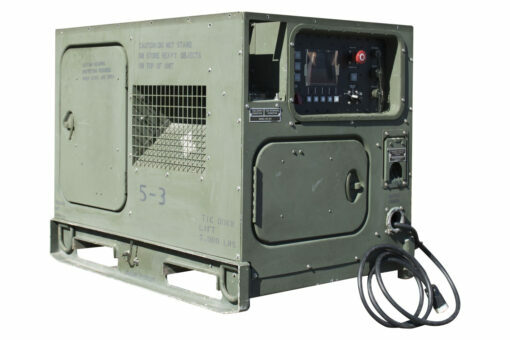 The AMMPS generator Digitial Control System (DCS) provides the generator with remote generator start (AGS) capability. The RsEK RMK allows the PRO-Verter to monitor and control the AMMPS DCS without sacrificing or compromising the native controls or safety circuit of the AMMPS. Installation of the RsEK does not alter or compromise the ability of the AMMPS to function as originally designed. The RsEK also allows the generator to be integrated into a hybrid system where it will function more efficiently. In this configuration, it will run at its full 40-amp capacity (120 VAC) whether its charging the battery bank, supporting a load, or both simultaneously. Generator runtime is also reduced because power generated in excess of what is required by the load is stored in the batteries for subsequent, independent support of the load. 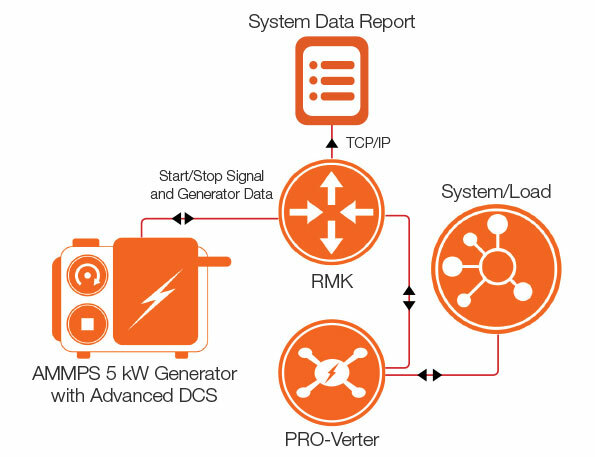 The enhanced capabilities of the generator provided by the PRO-Verter is extended even further by the RMK, which provides remote access to vital power system data from the System via TCP/IP. The RMK records and stores all of the system settings and operation data and provides tabular and graphical reports of these data via a user-friendly, browser-based user interface. Operational safety of the AMMPS is enhanced following RsEK RMK installation and integration into a hybrid system because the PRO-Verter monitors generator faults and reports them audibly and visually in real time. The Cable Set with the kit provides the required CAN bus communication and power links between the AMMPS and a PRO-Verter.